New combined solution platform addresses both Enterprise Labeling and Artwork Management challenges to offer greater efficiencies. If you haven’t heard yet – forward-thinking enterprises and industry analysts agree: Enterprise Labeling and Artwork Management are converging. But why you may ask, and how can this help business? Well the answer is simple – It just makes sense. Companies have struggled for many years now to manage the growing complexities of their supply chains and go-to-market packaging content. Labeling has become more complicated as data requirements continue to expand, and artwork management has been challenged to meet an increasing number of demands on a global basis. Additionally, labeling and artwork management both face challenges around content review and approval as organizations look to streamline the process. However, significant efficiencies and cost savings can be found when adopting a single, unified approach to deal with customer, product, regulatory and regional complexities that impact both labeling and artwork management – whether it is on traditional packaging, online or in the supply chain. Josh is Vice President of Product Management at Loftware. 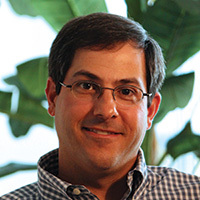 He has over 20 years of marketing and product management experience with leading enterprise software companies. He is responsible for defining Loftware’s product strategy and overseeing all corporate marketing functions. Specializing in the impact of supply chain trends on enterprise labeling, Josh frequently speaks at industry events.